The organic version of our most recently-developed cheese, Seven Sisters. 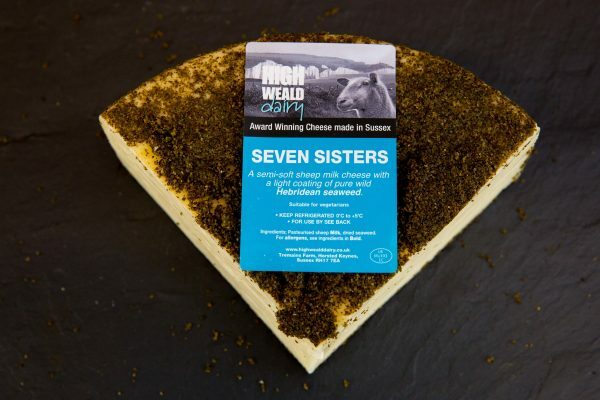 Named after the Seven Sisters chalk cliffs in East Sussex, it is a semi-soft matured organic sheep milk cheese, coated in a layer of Hebridean seaweed. As well as looking interesting, Seven Sisters has a light nuttiness to it and the seaweed coat makes it very difficult to resist. Typical values per 100g (estimated): Energy - 1837 Kj/443 Kcal; Fat - 35.4g, of which saturates - 23.2g; Carbohydrates - 3g, of which sugars - 0.1g; Protein - 24.2g; Salt - 1.67g. Sussex Slipcote is a fresh soft cheese made with organic sheep milk. It has a light, creamy, fluffy texture and a slightly sharp refreshing flavour. Packed in small 100g “buttons” or 500g “logs”, it is also available flavoured with Garlic & Herb, Cracked Black Peppercorn or Dill. The organic smoked version of our hard cheddar-style cheese, Duddleswell, is made with organic sheep milk. 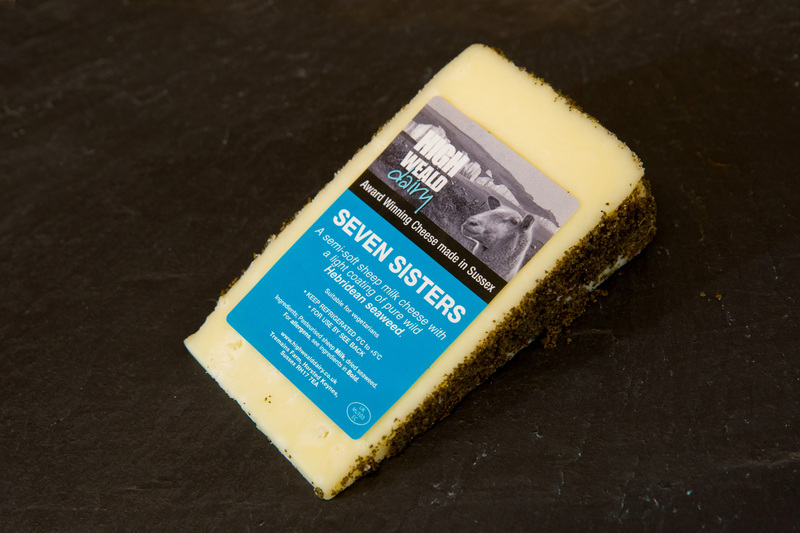 It is matured for over five months then traditionally smoked over oak shavings at the dairy. Duddleswell has a well-rounded, rich flavour; slightly sweet and nutty. The smoking process gives the cheese an added deliciously light smokiness. 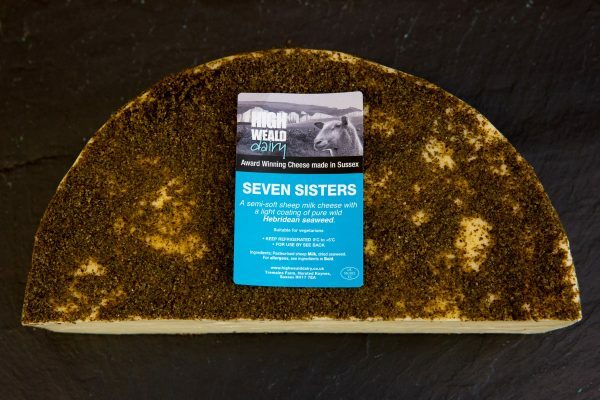 Named after the Seven Sisters chalk cliffs in East Sussex, our most recent cheese, is a semi-soft matured sheep milk cheese, coated in a layer of Hebridean seaweed. As well as looking interesting, Seven Sisters has a light nuttiness to it and the seaweed coat makes it very difficult to resist. An organic variety is also available. 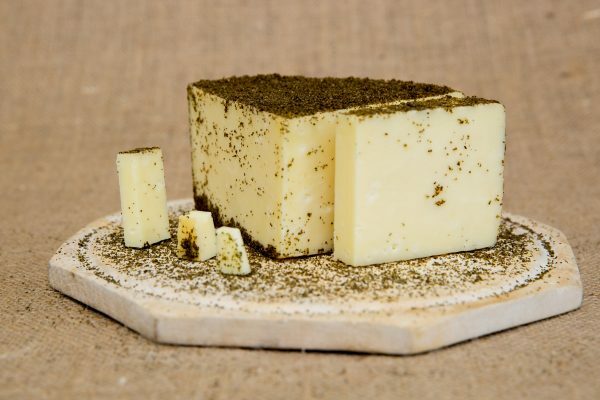 Garlic and herbs are added to our Sussex Slipcote cheese to make this tasty variety. The plain cheese is a fresh soft cheese made with organic sheep milk. It has a light, creamy, fluffy texture and a slightly sharp refreshing flavour. Packed in small 100g “buttons” or 500g “logs”, it is also available to buy Plain or flavoured with Cracked Black Peppercorn or Dill.